The (Nearly) Indestructible Miir Commuter Bike | Valet. If you're in the market for a simple commuter bike that can stand up to daily abuse and look good while doing it, we've found the ride for you. Miir's Payette road bike combines a classic design with a durable steel frame and for every bike sold, the company gives a bike to someone in need. There's an easy, single-speed drivetrain and the flip-flop rear hub allows you the option of running fixed or freewheel. The 25mm street tires offer good traction and are puncture-resistant—ideal for precarious city streets. The front and rear caliper brakes with short-pull brake levers let you stop smoothly. And despite the sturdy frame construction, the 25-pound Payette is still light enough to carry up and down a flight of stairs. The old school riveted saddle is covered with a durable, weather-resistant faux leather. It comes in four sizes and three colors with two handlebar options (a classically styled drop handlebar or a flat bar). And with each purchase, Miir will help a person in Africa or the US earn a bike through a work- or study-to-own program. So you can feel good that this bike will not only last you, but offer a quality ride to someone who truly needs it. 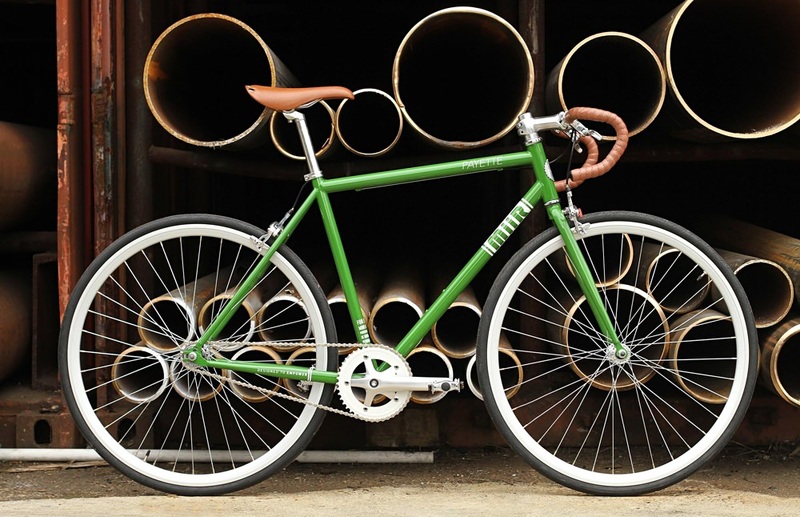 Sign-up for Miir's newsletter to score 15% off your first order, which would make this bike $424. Stock your ride with hard-wearing gear. A smart, simple and stylish ride.